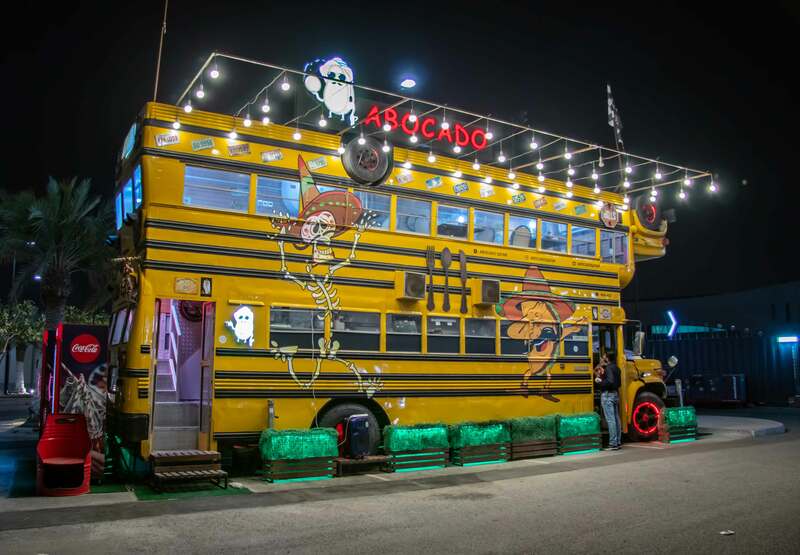 The Al Sadd Sports Club has become a hotspot for the concept of contemporary food trucks and stands. In the case of Abocado, it is not your ordinary food truck. With two buses merged together, it won’t be hard to miss once you’re in the area.  It is known to be one of a kind in Qatar and the Middle East, as it has earned the status of a tourist establishment by the Qatar National Tourism Council (QNTC). The concept of Abocado took 2 years to come to life, ensuring the authenticity of Mexican dishes are provided in a unique setting. It was all thanks to the owners, Jassim Mohammed Al Hammadi and his partners, a Human Resources Specialist now turned into an entrepreneur. The owners had brought their vision forward with Abocado by taking vintage buses that were made in the late 1970’s, and they were originally owned by Shaikh Faisal. Although converting the buses upside down was a challenge at first, it had successfully accomplished the appropriate measures to ensure the safety of the venue and the customers. 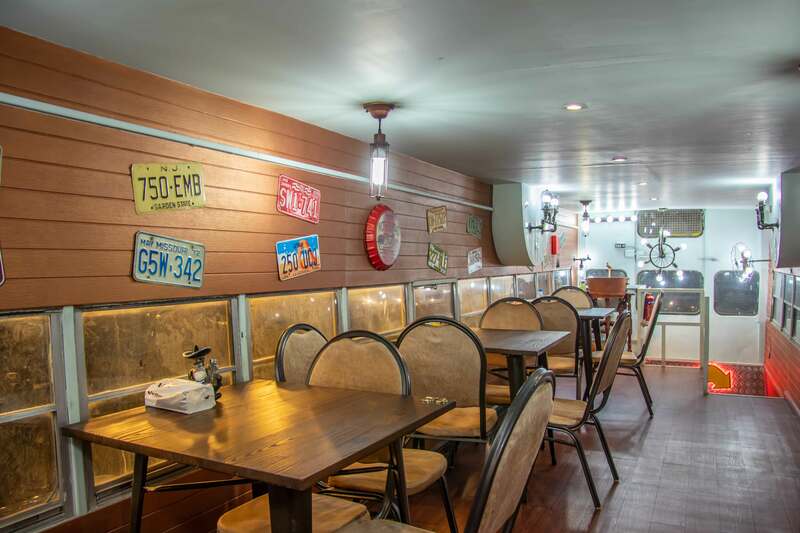 The interior is decorated with number plates collected from Mexico and several other countries. It is embellished with Qatari, Turkish, American and other coins to add a rustic look and feel. 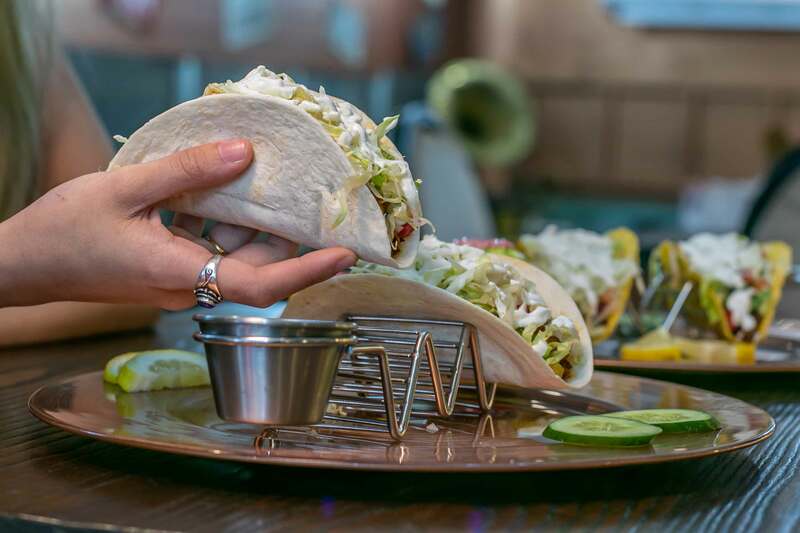 As the name ‘Abocado’ is derived from a traditional Mexican ingredient – the Avocado, owners decided to take the route to add a slight Arabian twist. The significance behind it is that Abo-cado is written in Arabic, and it means father of the seed. 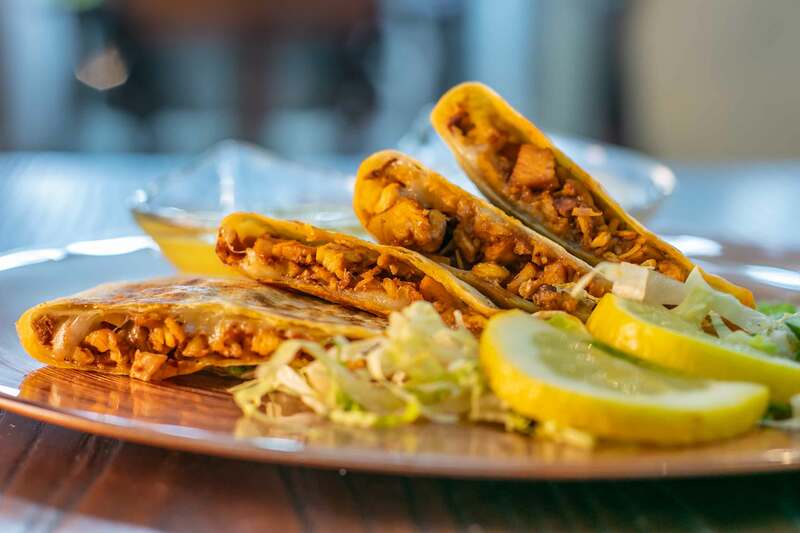 There are a variety of dishes to savour in, such as the classic tacos, enchiladas, fajitas, burritos, and quesadillas. The dishes are crafted by their very own Mexican chef, to guarantee the authenticity of the delicacies. You can also try out their tamales, which are only available on Friday’s. 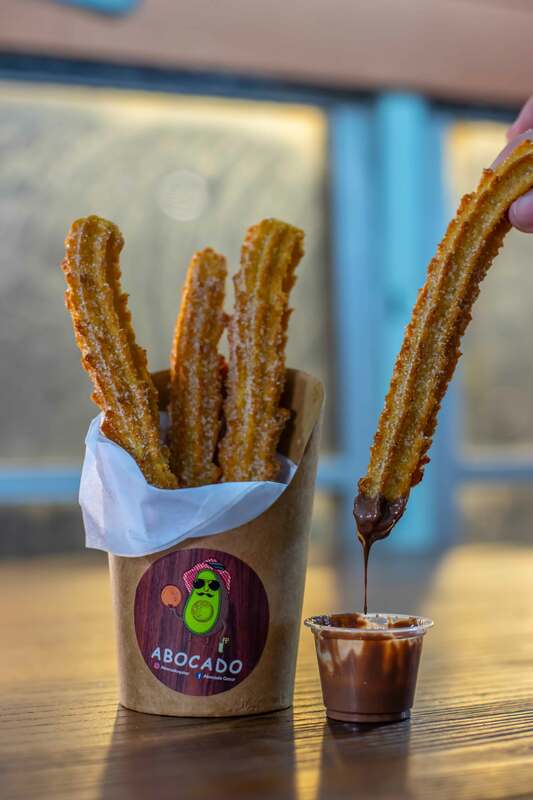 Don’t miss out on the churros either, your sweet tooth will be thanking you for it! If you are looking for a comfortable setting with your friends and family while enjoying authentic Mexican dishes, then Abocado is your best bet. Vamos!